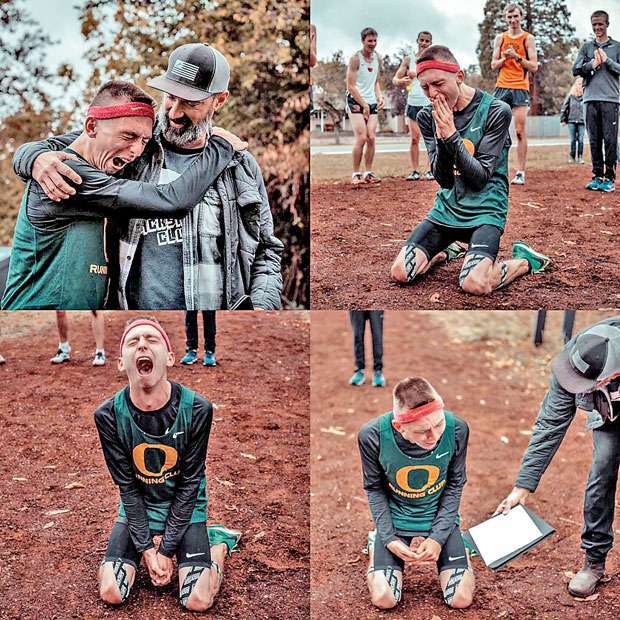 University of Oregon student Justin Gallegos has made history recently by becoming the first athlete with cerebral palsy to sign a contract with Nike. The dedicated runner was surprised by Nike at a training session at school and was brought to his knees with happiness when presented with the 3 year contract. Speaking to Runner’s World Justin commented “When I first set out running, the goal was never to become a professional athlete or even a college athlete,it was to become a stronger person and improve my quality of life.Before, I would tilt my feet inward a lot and that would cause me to fall down quite frequently. The reason I never quit or expressed interest in quitting is simply because I saw that it was doing more good in my life than it was doing bad.” Just Do It has never rang so true than in the life of Justin Gallegos.